Hey everyone! 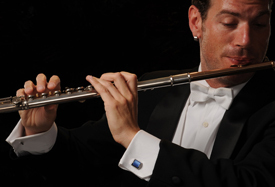 Travis here with some Tampa Bay area events, hosted by the Florida Orchestra, during December. So strap your sleigh bells on because here we go! Dec. 2: An Intimate Collaboration, The Austrian Way Highlighting Music by Beethoven & Bruckner. A s a multi-cultural prelude to The Florida Orchestra’s next Masterworks concert, The Studio@620 and The Florida Orchestra present An Intimate Collaboration: The Austrian Way, with discussion, music, and other art forms related to Beethoven’s Emperor Concerto and Bruckner’s Symphony No. 6 featured on the Masterworks series on December 4 and 6. An Intimate Collaboration: The Austrian Way takes place Wednesday, December 2, at 7:30 pm at The Studio@620 located at 620 First Avenue South in downtown St. Petersburg. Seating is limited and reservations are required. Suggested donation $10. To place a reservation, call 727.895.6620 or visit www.studio620.org. 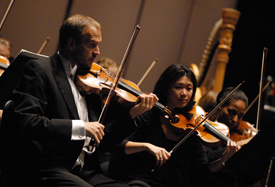 Dec. 4 & 6: Masterworks: Beethoven’s Emperor Concerto. The youngest winner ever of the International Beethoven Competition in Vienna, Stefan Vladar performs Beethoven’s Piano Concerto No. 5 with its flowing, gliding and sparkling melodic gifts on a program with Bruckner’s majestic and soaring Symphony No. 6. It&apos;s Fri, Dec 4, 8 pm at Tampa Bay Performing Arts Center - Carol Morsani Hall, and on Sun, Dec 6, 7:30 pm at Ruth Eckerd Hall. Tickets are: $20, $30, $43, $53, $67. Pre-Concert Conversation: All Masterworks programs offer a pre-concert talk about the music and the composers in the concert hall beginning one hour prior to curtain. Dec. 10: Coffee Concerts: Opera’s Greatest Hits - Alastair Willis conducts this morning Coffee Concert that features Verdi’s Traviata, Prelude to Act III, Puccini’s La Boheme, and Rossini’s Overture: Italian Girl in Algiers. Don’t miss the pre-concert conversation and complimentary coffee and donuts one hour before the concert. It&apos;s Thurs, Dec 10, 11 am at Progress Energy Center for the Arts - Mahaffey Theater. Dec. 11-13: A Holiday Pops - Sure to put a smile on your face and good cheer in your heart, treat yourself and your family to a sleigh load of musical chestnuts, favorite yuletide tunes and Christmas carols with your orchestra and the soaring voices of The Master Chorale of Tampa Bay. Hailed by The New York Times as “passionate, tender and rambunctious” and singled out by The Washington Post as “an astonishing array of virtuosity,” the Irish traditional music and dance group, Cherish the Ladies, will toast the holiday season with their wondrous weaving of Irish vocals, old-world airs and tug-on-your-heartstrings yuletide tunes with fiddles, flutes, penny whistles, guitar, banjo, accordion, mandolin and even some step dancing. So, make sure you get out and enjoy one of the many events that the Florida Orchestra has in December. And keep checking back here for info about other Tampa Bay area events and great things to do in Tampa Bay.